Players will play Match Play games during a qualification. Each round will consist of two (2) games. Players will earn wins based on the results of each game played. The max wins a player can earn in one round is fourteen (14) points. 1st Place will earn 7 wins. 2nd Place will earn 5 wins. 3rd Place will earn 3 win. 4th Place will earn 1 wins. 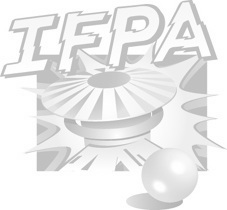 First round is assigned based on IFPA World Rankings. Players are grouped randmomly. Best seed will get choice of position. Software will assign the game. Each round, players will be assigned a new group based on their win totals. Upon completion of the qualifying period, players will be ranked based on total points. Ties for seeds will be handled by softwared based on most 1st places finishes followed by 2nd place finishes. If there is still a tie, players will play one game on a randomly assigned machine. After the qualification period, players will participate in playoffs based on their qualifying standings. The top third (max 16 players) will participate in of "A" Division playoffs. The bottom third (max 16 player) will participate in the "B" Division Finals. The bottom (max 16players) will participate in the "C" Division playoffs.